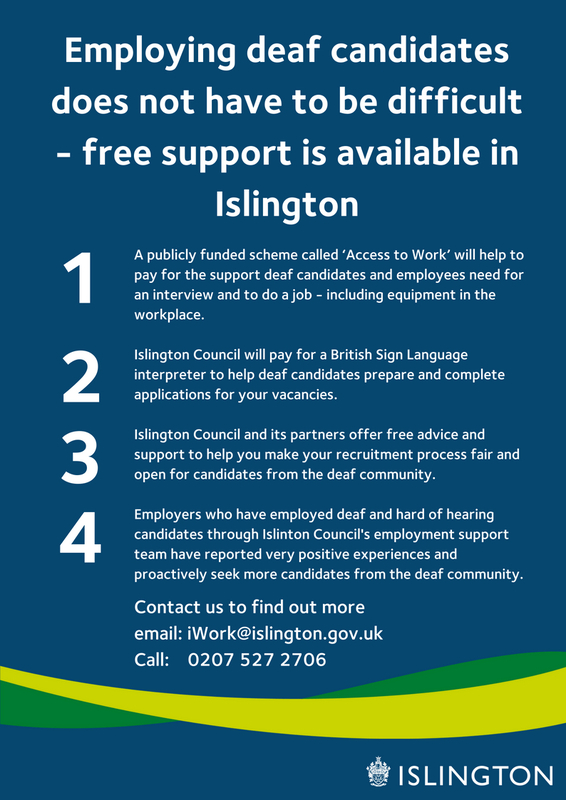 Last week was Deaf Awareness Week and we want to ensure that the local business community know there is support available from Islington Council and its partners to help you recruit candidates from the deaf community. 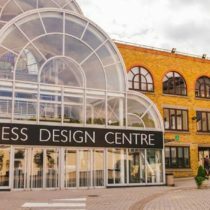 How would you conduct an interview for someone who can’t hear what you are saying? 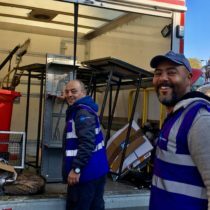 The deaf community reports significant obstacles to employment opportunities including inaccessible recruitment processes all the way to outright discrimination. 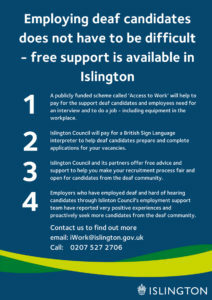 The council is committed to helping Islington residents who live with a disability and want to work, to find employment. 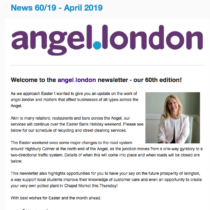 The information below has all of the support the council can offer you to help you recruit talented candidates from the deaf community – simply click on the image to see it full size.